Lehi also stressed a positive side to the Fall, teaching that it is only through the Fall that Adam and Eve could have children, allowing us all to come into the world and experience joy (2 Nephi 2:22–25). Lehi taught that while man inherited a fallen nature, we nonetheless are not “totally depraved,” as opposed to what has been generally understood and preached concerning the Fall since the time of Augustine. Instead, we understand from Lehi's teachings that we all now have the freedom to choose “liberty and eternal life, through the great Mediator of all men, or to choose captivity and death, according to the captivity and power of the devil” (2 Nephi 2:27). 1. 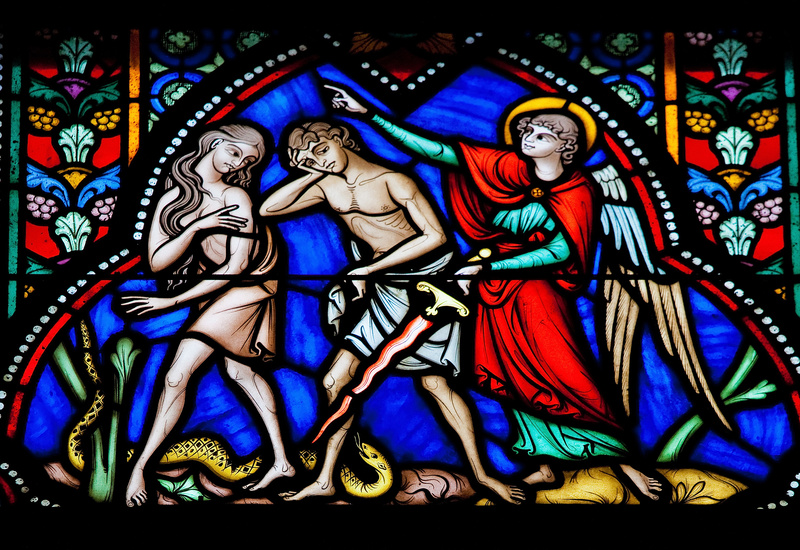 Satan’s expulsion from the presence of God was a necessary precondition for the temptation and Fall (see 2 Nephi 2:17–18; Life of Adam and Eve 12–17). 2. Adam’s fall resulted in the conditions of mortality (see 2 Nephi 2:19; 2 Baruch). 3. Man becomes “natural,” i.e., predisposed to sin, but he remains free (2 Nephi 2:26–27; Mosiah 3:19). These extra-biblical texts come from the era scholars call the Second Temple Period, which is after the time Lehi left Jerusalem. This commonality between Lehi’s teachings and later Jewish texts on the Fall suggests that these doctrines may indeed have been present several hundred years earlier than is previously thought. Finally, knowing the connection to ancient temples helps us see the relationship to modern temple worship and the essential elements of the plan of salvation. Like Lehi’s discourse, contemporary Latter-day Saint temple practices relate to themes of creation, fall, and atonement. Altogether, these insights offer all readers precious perspectives that enhance one’s appreciation of the beauty and power of Lehi’s sacred words to his son Jacob. Kevin Christensen, “The Temple, the Monarchy, and Wisdom: Lehi’s World and the Scholarship of Margaret Barker,” in Glimpses of Lehi’s Jerusalem, ed. John W. Welch, David Rolph Seely, and Jo Ann H. Seely (Provo, Utah: FARMS, 2004), 449–522. Stephen D. Ricks, “Adam’s Fall in the Book of Mormon, Second Temple Judaism, and Early Christianity,” in The Disciple as Scholar: Essays on Scripture and the Ancient World in Honor of Richard Lloyd Anderson, ed. Stephen D. Ricks, Donald W. Parry, and Andrew Hedges (Provo: FARMS, 2000), 595–606. John W. Welch, “The Temple in the Book of Mormon: The Temples at the Cities of Nephi, Zarahemla, and Bountiful,” in Temples of the Ancient World: Ritual and Symbolism, ed. Donald W. Parry (Salt Lake City, Utah: Deseret Books and FARMS, 1994), 297–387. Bruce M. Pritchett Jr., “Lehi’s Theology of the Fall in Its Preexilic/Exilic Context,” Journal of Book of Mormon Studies 3/2 (1994): 49–83. 1. Stephen D. Ricks, “Adam’s Fall in the Book of Mormon, Second Temple Judaism, and Early Christianity,” in The Disciple as Scholar: Essays on Scripture and the Ancient World in Honor of Richard Lloyd Anderson, ed. Stephen D. Ricks, Donald W. Parry, and Andrew Hedges (Provo: FARMS, 2000), 595–606. 2. Ricks, “Adam’s Fall in the Book of Mormon,” 601. 3. Bruce M. Pritchett Jr., “Lehi’s Theology of the Fall in Its Preexilic/Exilic Context,” Journal of Book of Mormon Studies 3/2 (1994): 49–83. This article was based on Pritchett’s honors thesis. See Bruce Michael Pritchett Jr., Lehi’s Theology of the Fall in its Pre-Exilic/Exilic Context (honors thesis, Brigham Young University, 1989). 4. Pritchett, “Lehi’s Theology of the Fall,” 77. 5. Pritchett, “Lehi’s Theology of the Fall,” 58. 6. Kevin Christensen, “The Temple, the Monarchy, and Wisdom: Lehi’s World and the Scholarship of Margaret Barker,” in Glimpses of Lehi’s Jerusalem, ed. John W. Welch, David Rolph Seely, and Jo Ann H. Seely (Provo, Utah: FARMS, 2004), 461. 7. John W. Welch, “The Temple in the Book of Mormon: The Temples at the Cities of Nephi, Zarahemla, and Bountiful,” in Temples of the Ancient World: Ritual and Symbolism, ed. Donald W. Parry (Salt Lake City, Utah: Deseret Books and FARMS, 1994), 322. 8. For the Psalms, see David J. Larsen, “Ascending into the Hill of the Lord: What the Psalms Can Tell Us About the Rituals of the First Temple,” in Ancient Temple Worship: Proceedings of the Expound Symposium 14 May 2011, ed. Matthew B. Brown, Jeffrey M. Bradshaw, Stephen D. Ricks, and John S. Thompson (Orem, UT and Salt Lake City, UT: Interpreter Foundation and Eborn Books, 2014), 171–188. For Job, see Mack C. Stirling, “Job: An LDS Reading,” in Temple Insights: Proceedings of the Interpreter Matthew B. Brown Memorial Conference—The Temple on Mount Zion, 22 September 2012, ed. William B. Hamblin and David Rolph Seely (Orem, Utah: Interpreter Foundation and Eborn Books, 2014), 99–143. Ezekiel was a temple priest. See Kevin Christensen, “Prophets and Kings in Lehi’s Jerusalem and Margaret Barker’s Temple Theology,” Interpreter: A Journal of Mormon Scripture 4 (2013): 187.